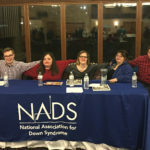 National Association for Down Syndrome | 13th Annual Fashion Show A “Shining” Success! 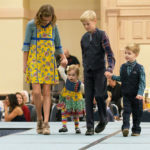 On October 28, over 400 attendees and 35 models celebrated the beauty and individuality of people with Down syndrome at our 13th annual fashion show. The show – appropriately named “Shine Bright Like A Diamond” –was our biggest and brightest yet! 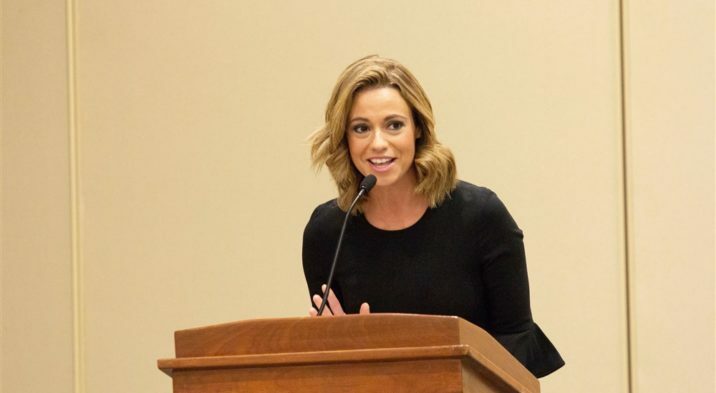 Emceed by Channel 7’s meteorologist Cheryl Scott, the event featured amazing models highlighting their own styles, entertainment by Allie Renninger and Garret Anderson who act with the EDGE of Orion’s Constellation Classics group. We were also entertained by Candie Schwaner from Center Stage Dance Studio in Bloomingdale. Along with the fashion show, guests enjoyed a silent auction and choice raffle, a delicious luncheon and a truly fun and uplifting experience. Thanks to the efforts of NADS board members and co-chairs Jennifer Hora and Erin Komacki, we surpassed last year’s proceeds, raising almost $30,000 for our programs and services.